As indicated earlier, the biblical texts cited herein are employed illustratively and inspirationally – they are not offered as “proof-texts.” While much of that which we read in the Bible may appear fanciful – the stuff of myth and legend – sincere skeptics and honest critics would do well to keep in mind that a myth is a story that is true on the inside whether or not it happens to be true on the outside. So, at this point, without belittling historical-critical method or even, at times, a hermeneutics of suspicion – both of which have their place – we would do well to look for the inner truth of scripture and to keep an open mind with regard to what may or may not be true as far as the externals are concerned. The written word points to the living Word. And when it comes to the living Word, the proof of the pudding is in the eating. they that drink thereof shall never thirst again (John 4:14; cf. John 7:37-38). the stone that the builder rejects, but which, in the end, becomes the head of the corner(Psalms 118:20-24; Matthew 21:42; Acts 4:11-12). We are enthralled by a false image of ourselves. This is often referred to as the carnal mind or the mind of the flesh. It is sometimes referred to, in more modern parlance, as the egoic mind. It is thrown into bold relief as soon as we recognize the “I Am” presence which it has long obscured and away from which it continues to tempt us. We are alienated from the image of God in us (which is our only point of contact with the Good which is absolute and eternal). We are, at the same time, alienated from our fellow human beings (who are erroneously conceived of as separate and other). We become preoccupied with the pursuit or avoidance of that which merely appears to us to be “good” or “evil” (based on our erroneous ideas of self and other in a world where our crude conceptions of time, space, and material existence are mistaken for Reality). Deceived in this way by an erroneous conception of ourselves and our good, we become outcasts from of the garden of God and are cut off from the tree of life. “Those who try to make their life secure will lose it, but those who lose their life will keep it” (Luke 17:33). be ye perfect as your Father in heaven is perfect (Matthew 5:48). giving up our own priorities and submitting to God’s will for our life (Philippians 3:7-9; cf. Luke 22:42). Our “old man” or “carnal mind” is (or begins to be) crucified with Christ and we are raised with him in newness of life (as described in Colossians 3, Galatians 5, and II Corinthians 5). We put on the “new man” which is “created after God in righteousness and true holiness” (Ephesians 4:24 KJV). We see through the pretense and hypocrisy of the carnal mind [which is said to be hostile to God (Romans 8:7) but which becomes transparent in the light of Christ (cf. Ephesians 5:13-14; Hebrews 4:12)]. enjoying the peace that passes understanding (Philippians 4:4-7). We realize the kingdom of heaven within us (Luke 17:20-21). 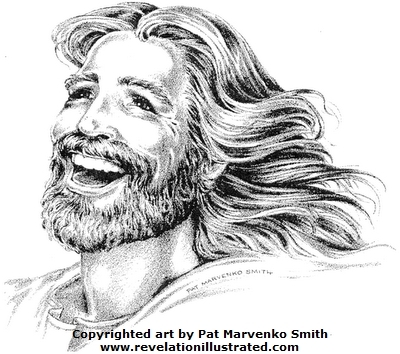 We truly experience the joy of our salvation (Psalm 51:12; cf. John 15:10-11; Philippians 4:4-7). My Father is Greater than I (John 14:28). I and my Father are One (John 10:30). My neighbor is myself (cf. Mark 12:31). We are members, one of another (Ephesians 4:24-25). What is done to the least of these is done unto me (Matthew 25:31-45). Indeed, living in this Way, our joy is complete (John 15:11) and we naturally begin to proclaim the good news of the kingdom (whether in verbal or nonverbal ways). “Come and see!” – we are tempted to shout – “Come and see the one who told me everything I have ever done!” (John 4:29).